– The Arnold dll is now delay loaded on Windows therefore third-party extensions have to be rebuilt with the /DELAYLOAD:ai.dll linker flag. About Solid Angle. Solid Angle is the technology company behind the Arnold rendering software. 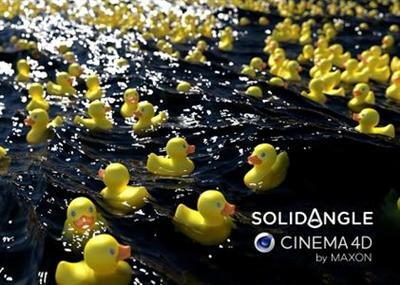 With offices in Madrid and London, Solid Angle’s customers include ILM, Framestore, Sony Pictures Imageworks, Rodeo FX, Luma Pictures, Image Engine, The Moving Picture Company, Digic Pictures, The Mill and Psyop. Arnold was designed to efficiently process the complex geometric datasets required for feature-length CGI animation and big-budget visual effects, while at the same time simplifying the pipeline. This unique renderer has been used to create the VFX seen in “Guardians of the Galaxy”, “Elysium, “Gravity”, “Pacific Rim”, Marvel’s “The Avengers”, and “Alice in Wonderland”, to name just some. Marcos Fajardo is the founder of Solid Angle and lead architect of Arnold. The software is now available as a standalone renderer, as a C++ API and as a set of plug-ins for leading 3D applications such as Maya, Softimage and Katana on Linux, (Mac OSX) and Windows. About MAXON Computer GmbH. MAXON Computer GmbH is a developer for 3D graphics software, offering professional 3D modeling, painting, animation, and rendering solutions. MAXON’s product line is centered around its core applications Cinema 4D, a leading animation package for media production, and BodyPaint 3D, its pioneering 3D painting package.